The 1990 National Hockey League Entry Draft was the 28th NHL Entry Draft. 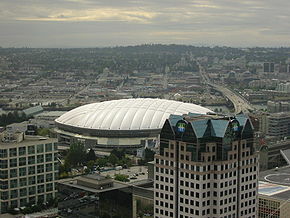 It was hosted by the Vancouver Canucks at BC Place in Vancouver, British Columbia, on June 16, 1990. It is remembered as one of the deeper drafts in NHL history, with 14 of the 21 first round picks going on to careers of at least 500 games. Nine of the 21 players drafted in the first round played 1000 games in their career. As of November 2016, one player from this draft is still active: Jaromir Jagr, who is currently playing for the Florida Panthers . 1990 NHL Draft Top 20 Draft Picks. First Round of the 1995 NHL Draft as shown on ESPN2. 1st overall selection, Quebec Nordiques. First Round of the 1993 NHL Draft as shown on TSN.